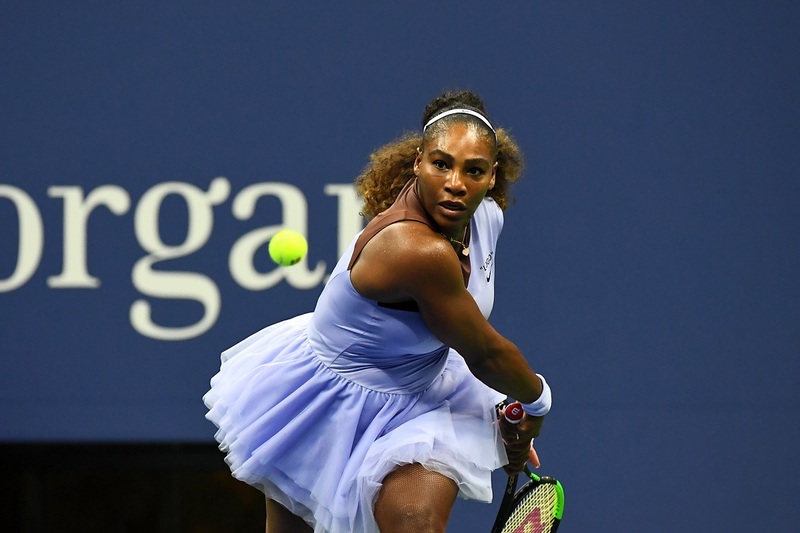 It is ladies night at the U.S. Open on Thursday with the singles semifinals set to take place inside Arthur Ashe Stadium this evening. In primetime, the final four women standing at the 2018 U.S. Open will be trimmed down to two, and the potential for an all-American final for the second straight year still remains. 23-time Grand Slam champion Serena Williams kicks things off in the opening match as she meets 19th seeded Latvian Anastasija Sevastova in the first semifinal. Serena’s run here in Flushing Meadows as she continues her comeback to the tour is nothing short of remarkable, and her immediate ascent to the tournament’s favorite is a testament to her championship pedigree and tireless work ethic. Not to be outdone, Sevastova is enjoying a career renaissance of her own. Just a few years ago, she had retired from professional tennis at the young age of 24. But she has now returned to the tour and in a big way, reaching three straight U.S. Open quarterfinals, and has the opportunity to reach her maiden Grand Slam final. Serena and Sevastova have never played one another, and will take the court together for the first time on Thursday night. Serena is seeking a spot in her 31st Grand Slam final. The second semifinal will pit 14th seed Madison Keys against 20th seed Naomi Osaka, in a rematch of their Round of 32 matchup here two years ago. Osaka, who was just 18 at that time, held a 5-1 lead in the final set of that match, only to see Keys storm back to win a tiebreak. Both Keys and Osaka are much different than the players they were two years ago, and have grown since that match. Osaka has absolutely dominated her opponents in Flushing Meadows, winning 22 consecutive games at one point and winning all but one of her matches in straight sets. Keys has largely flown under the radar throughout this fortnight. Despite being last year’s runner-up, she is just the 14thseed and storylines like Serena’s return, the ousters of top seeds Simona Halep and Caroline Wozniacki, and the heat have taken precedence. The American has a much more mature and mentally tough outlook on her place in the semifinals this time around, and that new found mentality has guided her to this point. With rain in the forecast for this evening, the tournament has already announced that the two semifinals will be played under the Arthur Ashe Stadium roof. It should be an exciting semifinal night at the USTA Billie Jean King National Tennis Center with four compelling stories from four excellent tennis players. Will we see another all-American final? Or will we see a final between two first-time finalists? Play gets underway at 7:00 p.m. EST.